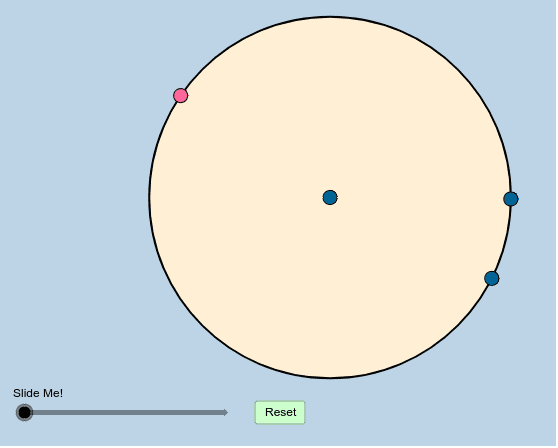 Creation of this applet was inspired by a post from Antonio Gutierrez (GoGeometry.) Move the LARGE PINK POINT anywhere you'd like (along the circle). How can we formally prove what this applet informally illustrates? Some ancient Greek mathematicians used this method to trisect an angle. Can you see why? For more information, see this Wikipedia article.